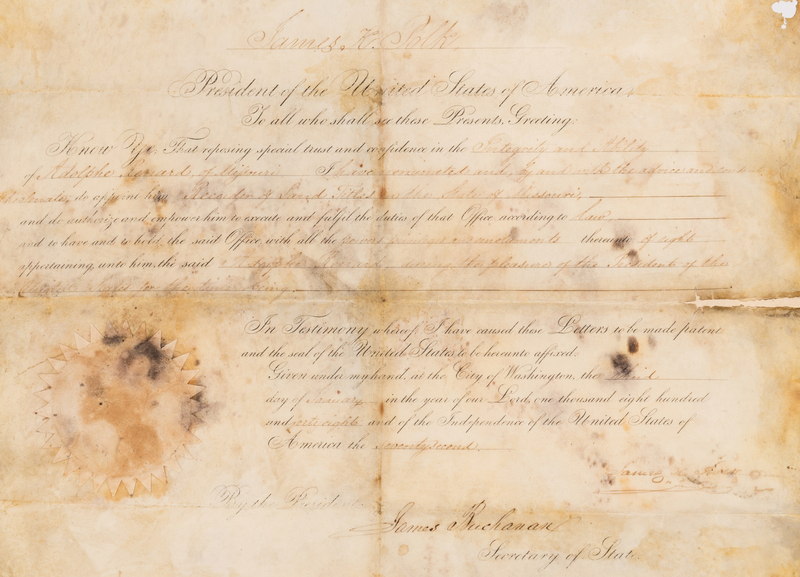 Presidential appointment document signed by both President James K. Polk and Secretary of State James Buchanan (later the 15th U. S. President), conferring the position of Recorder of Land Titles in the State of Missouri to Adolphe Reynard, dated January 3, 1848 with seal. Polk signature lower right and Buchanan signature mid lower margin. Housed in a plastic archival sleeve. Sheet – 13 1/2" H x 16 3/8" W. Archival Sleeve – 14 3/4" H x 17 3/4" W. Provenance: Anne P. and Thomas A. Gray Library and MESDA Research Center. 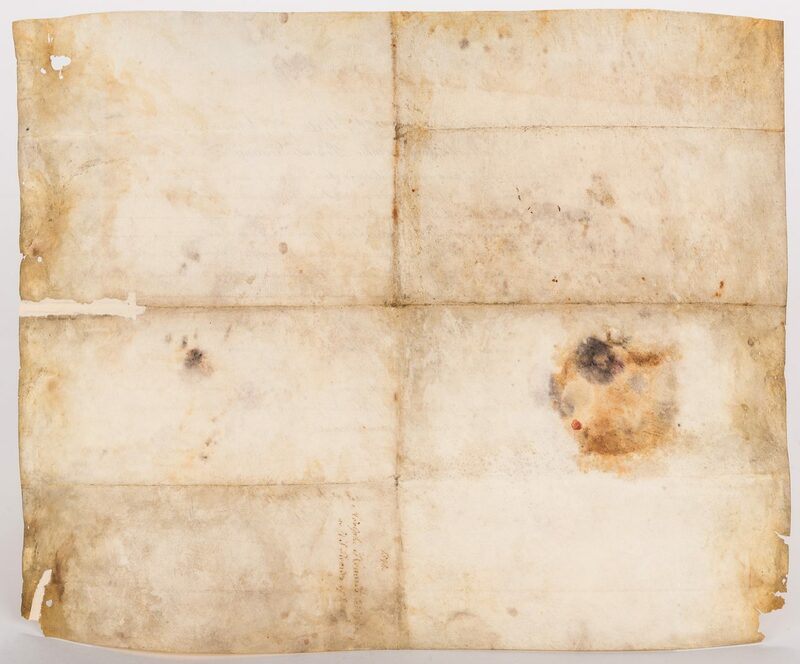 CONDITION: Heavy dampstaining, surface of sheet. 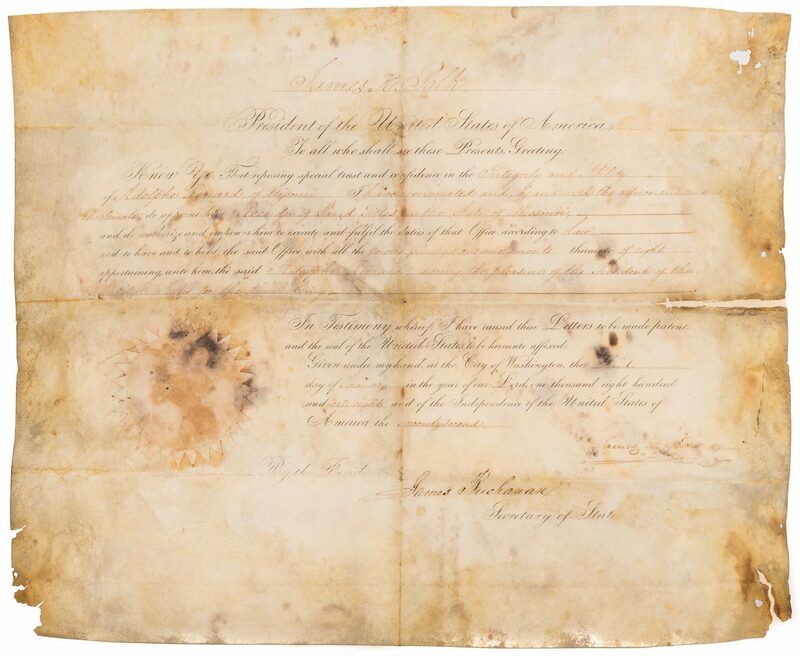 Dampstaining does slightly affect visiblity of Polk signature. Buchanan signature clearly visible. Heavy toning, some foxing and staining. Losses to perimeter of paper.